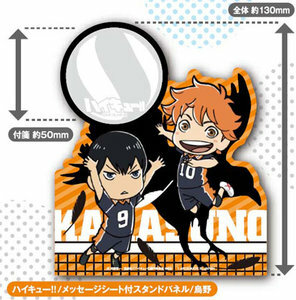 Karasuno stand panel with Sticky notes in volleyball design from Japan. Stand panel is approx. 13 cm tall and the sticky message sheet is 5 cm tall.